Submitted by Migrate Wizard on 2014-07-22 17:37. Did you ever want to play the dark side? How about being one of the most evil, dreaded, despised creatures of Faerun? How about being a drow? Find out in this roleplaying module. 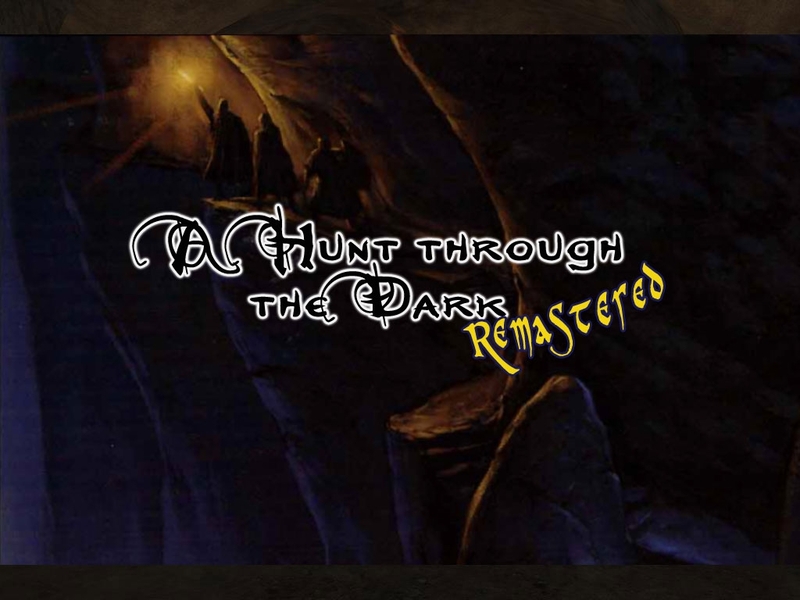 A Hunt through the Dark Remastered is a conversion of my Hall of Fame series for NWN1. I took some freedom to change some elements and the storyline to create a more exciting, thrilling experience based on the new drow novels of the "War of the Spiderqueen" and "Lady Petinent" series. 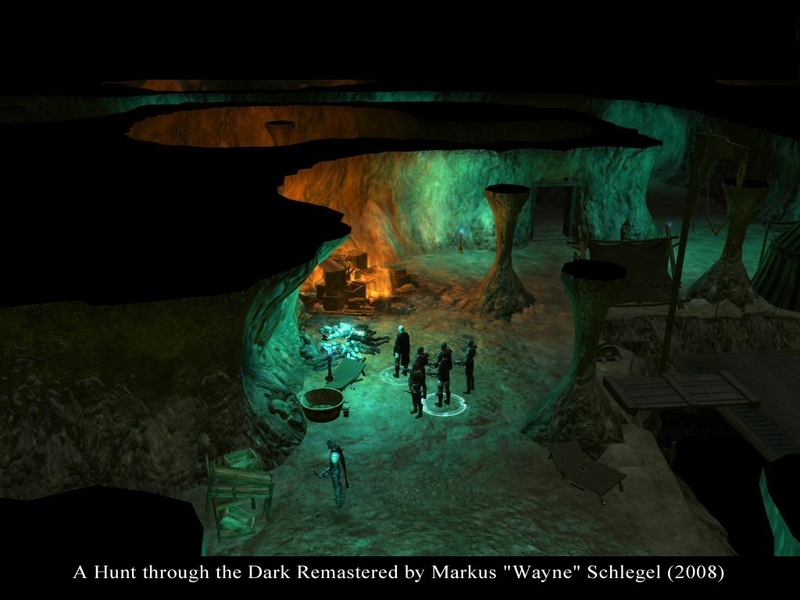 This means, the classic A Hunt through the Dark series is cut with the end of chapter 3 and a new storyline unfolds in chapter 4. 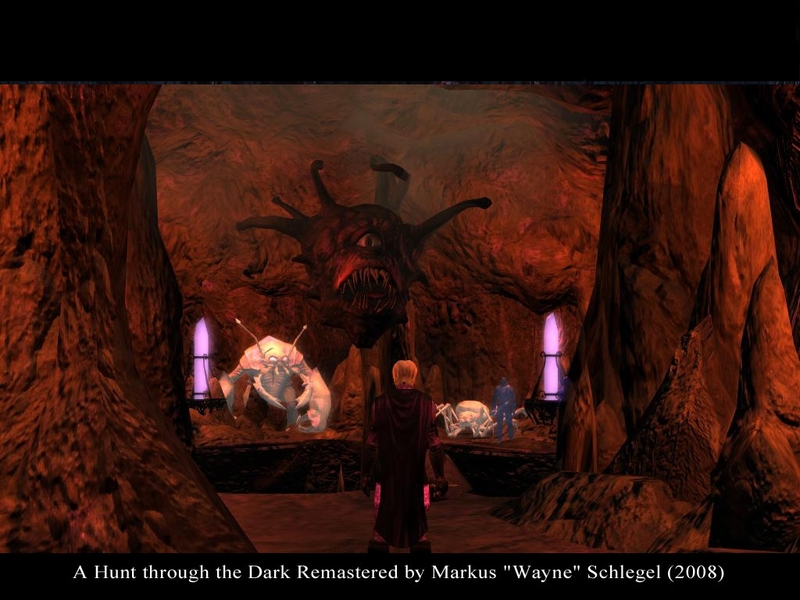 A Hunt through the Dark Remastered is the first part of a trilogy covering the time and events of Lolth's silence. Version 1.0 marks the end of beta testing and is the final version of this module. Jonny Ree's drider models included. I don't think there's one in the works. The author's site doesn't really list any new projects after 2010, and that was one for Dragon Age. 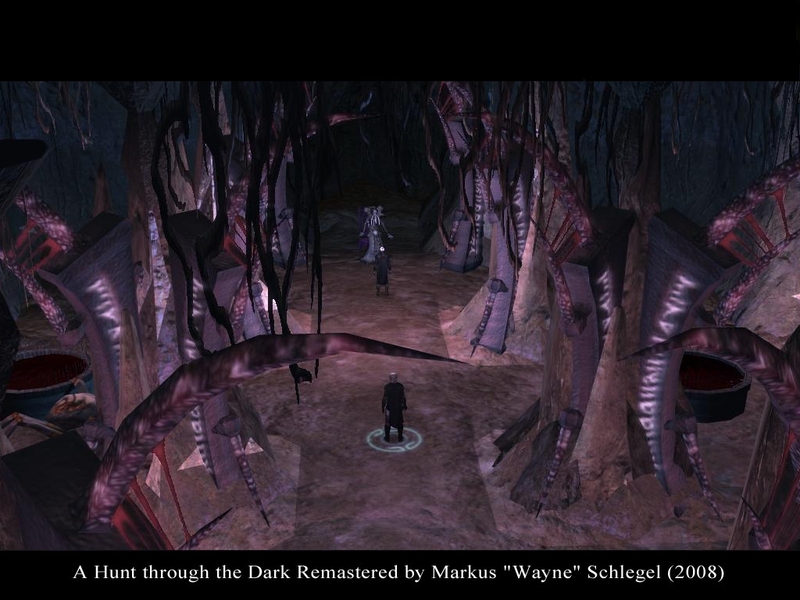 I liked this module a lot and look forward to playing the sequel- lolthanchwi. I ran into a few glitches during gameplay, but nothing a reload couldn't fix. Thx, linked to sequel now. Some of the files seem to be corrupted, i get a lot of "could not be extracted" messages. Very nice underdark module.Some minor annoyances, manageable with walking back and forth or reloading.Off to the sequel. Just my kind of module! A lot of roleplaying here. Enjoyed it a lot, thanks! A very well done remake of a classic, with the great virtues of the original. Well worth playing even if you played that one. All the good critics of the NWN1 version are valid again. Towards the end, things get different this time... and, in my oppinion, better! Music gets too epic and repetitive, even in anticlimatic moments: I turned it off! All worked well for me but, in the human village, somebody mentioned some riders attacking that never showed up. Also, a lot of time has passed, but I think that this one is quite shorter than the old one... wich is bad! 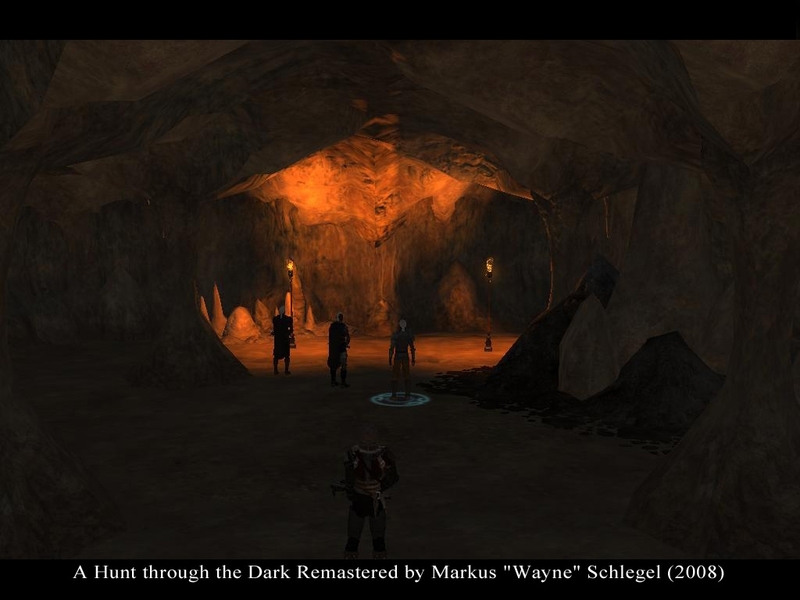 Loved Hunt through the Dark on NWN 1. This was well done. Even if you played the original there is enough that is different to keep it enjoyable. Loved it. 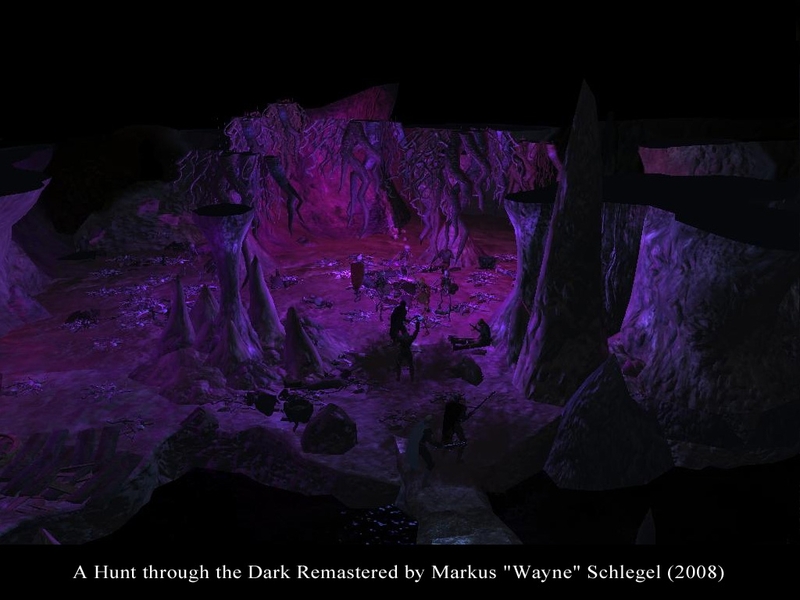 The Underdark has always been my D&D favorite setting ever, therefore it was nice playing it "from inside" as a native when usually all the trips that we take to the Underdark are as simple visitors (or to say better as prisoners or slaves). The module is quite heavy on combat but it also gives a lot of options to roleplay therefore I find that the balance is good. The story is very linear but never boring. No major bugs to report, just some small annoyances that, as many others said, can be easy solved with a reaload. And now off to the sequel. Up front, I don't like race or class restrictions in a game and I'm not a fan of forced companions. 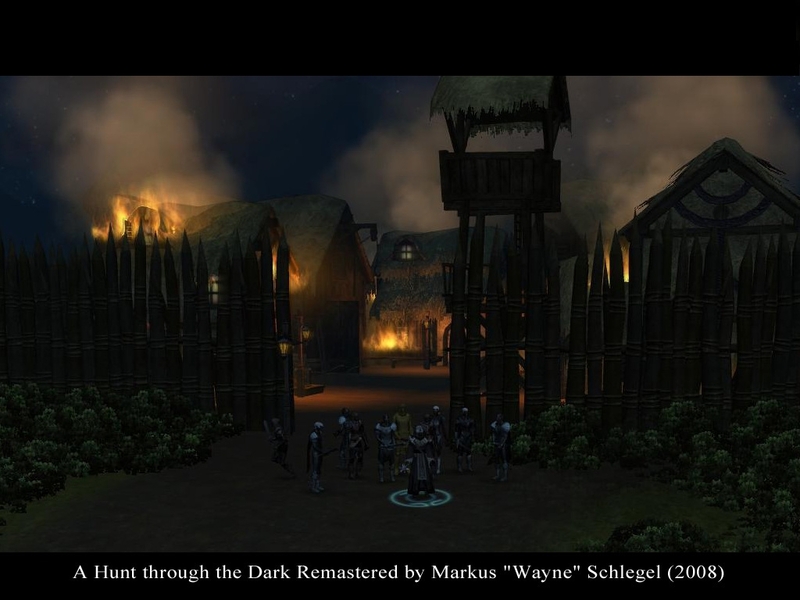 That said, this module puts you into the world described in RA Salvatore's books on the Drow. The ambition, the chaos, and the duplicity in an adventure that drives you along toward unknown ends in a struggle to survive and thrive with a knife at your back. While there are a few plot holes, and at least one bugged journal entry, none of that detracts from the story your PC can't seem to escape from the center of. I also don't like playing evil characters but the author provided story-consistent paths for pragmatic play, allowing you to side-step some of the gratuitous evil the Drow are portrayed as enjoying. That is a feat not always accomplished in professional games and frankly rare in user-created content. The music is at times fairly out-of-sync with the game play in some areas. Starts to get annoying. Some of the dialog needs a serious spell checking. At least one journal entry is wrong. 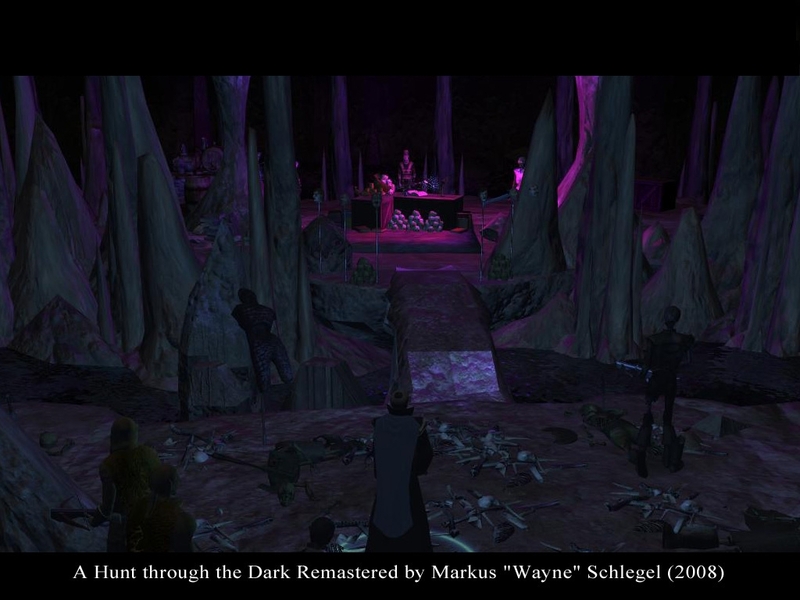 The final outdoor area was almost disappointing after the brilliantly detailed Underdark. I know there were other mistakes but I was so into the plot that I literally forgot to write them down. This is fighter oriented. 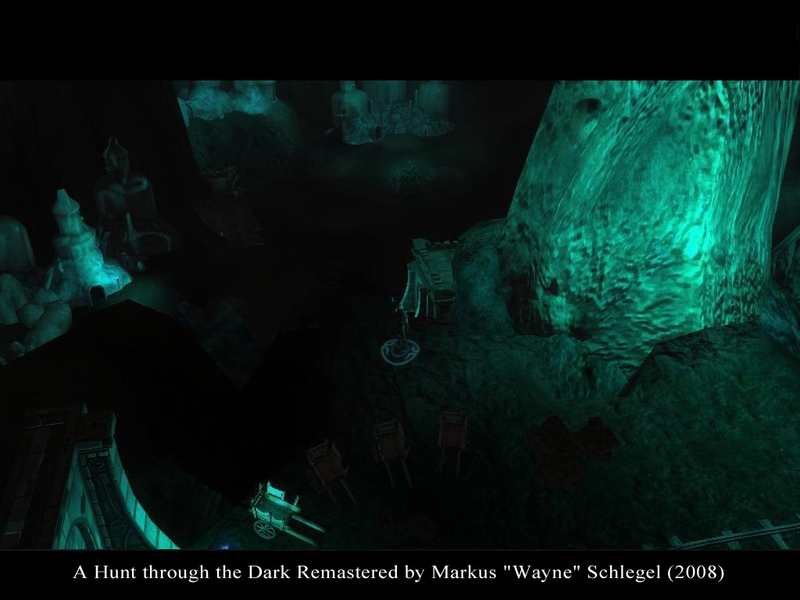 Partly that's because of limitations the writer faced in setting this plot in Drow society. I did take a few rogue levels which actually worked out pretty well. Resting is limited by supplies as well as location so if you do choose a PC with spell-casting abilities, don't plan to depend on them. The game begins in a foyer in limbo where you can set up your PC with advice from the Sage who provides info on difficulty levels and the game environment. There is also more than enough free gear to get you started. Overall, this is excellent work and even if not your normal genre, it's definitely worth a play-through. I played a Wizard in the two modules GCoyote and I did not take any other class. Although I did use feats toward archery.